Get great FIBA Basketball World Cup 2014 tickets at the best possible prices, we will deliver your FIBA Basketball WC 2014 tickets to your Home or Hotel few day prior to the game. The 2014 FIBA Basketball World Cup will be the 17th edition of the FIBA Basketball World Cup, the tournament previously known as the FIBA World Championship. To be hosted by Spain, it will be the last time the tournament will be held on the current four-year cycle. The next FIBA World Cup will be held five years later, in 2019, to reset the cycle on a different year than the FIFA Football World Cup. Don’t miss out Book your FIBA Basketball World Cup 2014 tickets now and secure your seats. Fulfill Your Dream of watching FIBA Basketball World Cup 2014 live. Best FIBA Basketball World Cup 2014 Ticket prices in the market guaranteed! Don’t miss out FIBA Basketball World Cup 2014 Live Matches. We’re sorry, FIBA Basketball World Cup 2014 tickets are currently not available. Sign up for a FIBA Basketball World Cup 2014 tickets alert and we will let you know as soon as we have tickets available for sale. 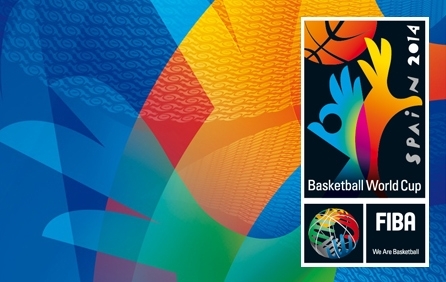 Please enter your email below for a FIBA Basketball World Cup 2014 updates! * You will receive FIBA Basketball World Cup 2014 email alert immediately once the tickets you're looking for become available. * Don’t Miss out the FIBA Basketball World Cup 2014 event.